Silver ballpoint with a diamond motive. With engraving shield. Supplied in a gift box. As a beautiful set together the Fountain pen Excelsior Diamond. 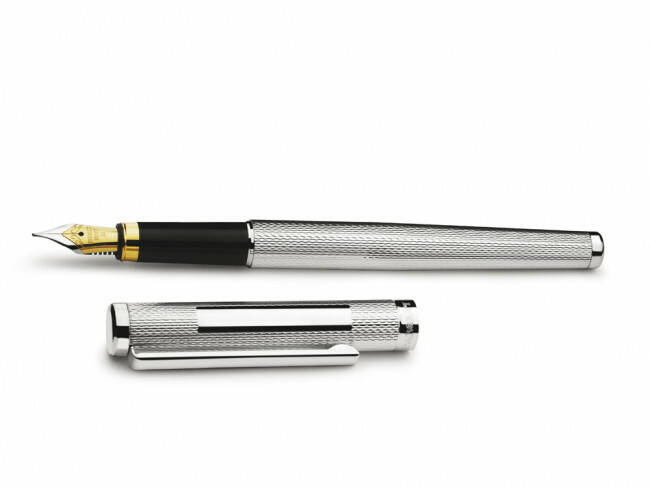 Elegant silver fountain pen with diamond motive. With engraving shield. Supplied in an elegant gift box. As a beautiful set together with the Diamond fountain pen.